Earn $77.90 in Rewards credit (7790 points) What's This? Goodbye, Riken. Goodbye, Elsa. 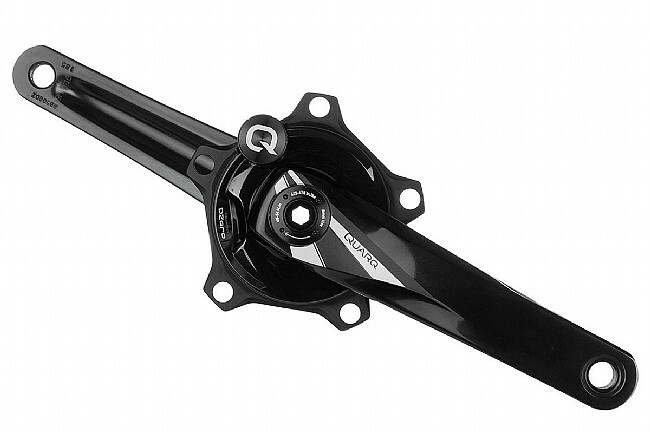 Quarq's Dzero Alloy Power Meter Crank improves on their previous platforms, featuring an updated strain gauge and circuitry so your numbers are more reliable even in the most extreme riding conditions. They've added dual Bluetooth LE and ANT+ transmission so you can be paired with your cycling computer or a smart device, and it also allows for wireless firmware updates through Quarq's Qalvin BLE app. Forged aluminum crank arms with a CNC'd aluminum spider keep the weight low and the stiffness high, and this 110 BCD model is compatible with standard 5-bolt compact chainring options. Not compatible with Campagnolo chainrings. Available in multiple length and spindle options. Claimed weight is 780 g.